This stately bur oak has witnessed vast changes in Middle Tennessee, standing just one hundred yards from historical Granny White Pike. Buffalo passed on their way to the Great French Lick in present-day downtown Nashville. Creek, Cherokee, and Chickasaw hunters used it as shelter from heat and storms centuries ago. 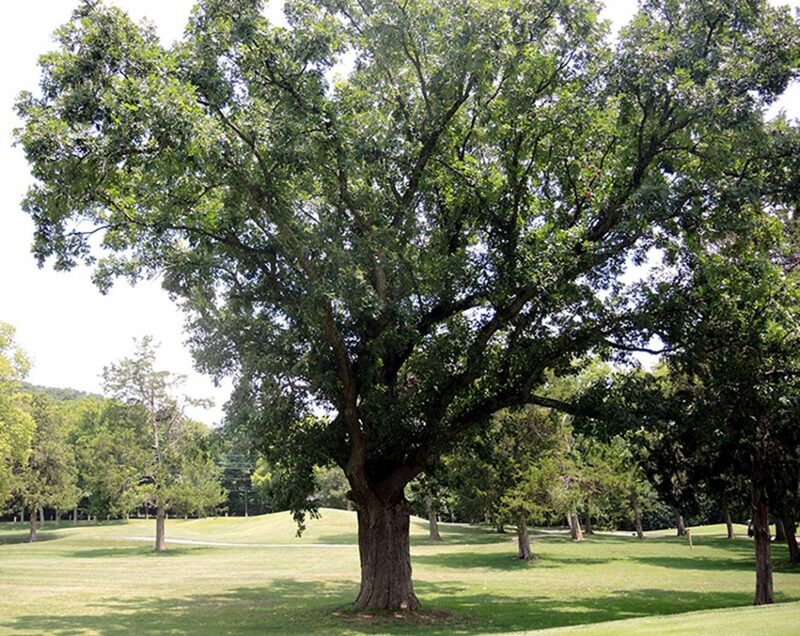 Travelers including Andrew Jackson, Thomas Hart Benton, John Overton, and John Lea passed this tree, and in 1849 the great oak saw construction of the Granny White turnpike on the old buffalo path. The oak witnessed perhaps its most dramatic sights in the Battle of Nashville late in the afternoon on December 16, 1864. As the Confederate army began a retreat south on Granny White Pike, the United States Cavalry attacked Confederate Colonel Ed Rucker’s Brigade near the Witness Tree. A fierce battle continued around this tree until the hand-to-hand fighting ended in the dark. Rucker was wounded and captured with many of his men. That night, the victorious U.S. Cavalry camped under the Witness Tree’s branches.